OCEANFRONT! New Construction-exquisitely designed by Melillo Architecture and custom, quality construction by SGC Builders, this magnificent home is the one you've been waiting for. Some of the features included are crown moldings throughout, coffered and tray ceilings, recessessed lighting, central vacuum, security system, pre-wiring for audio/cable, custom kitchen, nine foot ceilings, custom california closets, marble flooring, Azek decking, and breathtaking views of the Atlantic! 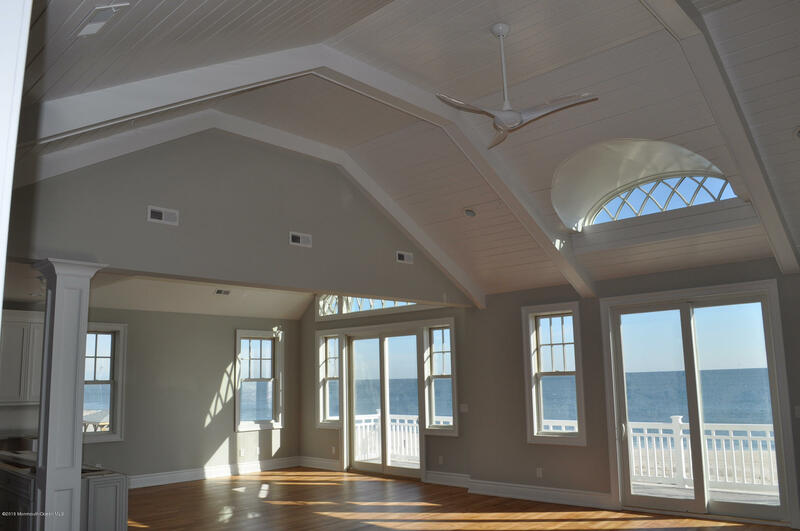 There is plenty of room to invite your guests with 4 bedrooms, 3.5 baths, a 24 foot great room with gas fireplace, family room with wet bar, and decks to enjoy the beachfront lifestyle. I would like more information about 1204 Ocean Front in Lavallette.